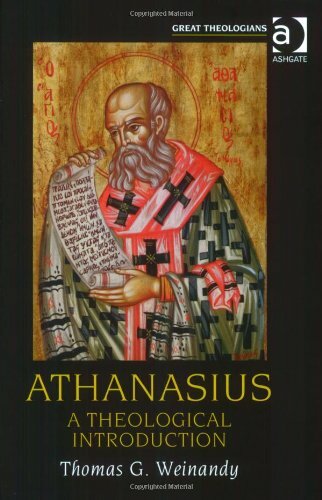 Chapters 5 - 10 and 89 - 94 of the work in which Athanasius describes the life of the famous desert hermit. 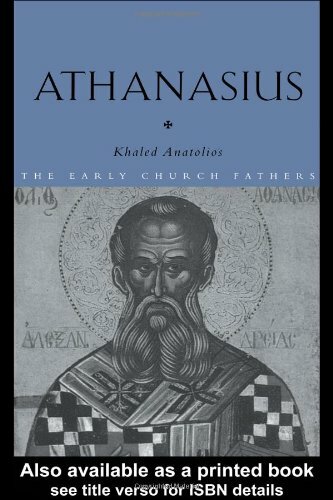 Click here to read at earlychurchtexts.com in the original Greek (with dictionary lookup links). The English translation below is from the NPNF series. Try out the feature rich subscription version of the Early Church Texts website for just $5 for a trial period or $30 for a year ($15 student rate). Click here for more information. Check out the video demo of the site. Click here to go to the Early Church Texts Home Page for the publicly available version of the site which has just the original Greek and Latin texts with dictionary lookup links. 6. At last when the dragon could not even thus overthrow Antony, but saw himself thrust out of his heart, gnashing his teeth as it is written, and as it were beside himself, he appeared to Antony like a black boy, taking a visible shape in accordance with the colour of his mind. And cringing to him, as it were, he plied him with thoughts no longer, for guileful as he was, he had been worsted, but at last spoke in human voice and said, ‘Many I deceived, many I cast down; but now attacking thee and thy labours as I had many others, I proved weak.’ When Antony asked, Who art thou who speakest thus with me? he answered with a lamentable voice, ‘I am the friend of whoredom, and have taken upon me incitements which lead to it against the young. I am called the spirit of lust. How many have I deceived who wished to live soberly, how many are the chaste whom by my incitements I have over-persuaded! I am he on account of whom also the prophet reproves those who have fallen, saying, “Ye have been caused to err by the spirit of whoredom.” For by me they have been tripped up. I am he who have so often troubled thee and have so often been overthrown by thee.’ But Antony having given thanks to the Lord, with good courage said to him, ‘Thou art very despicable then, for thou art black-hearted and weak as a child. Henceforth I shall have no trouble from thee, “for the Lord is my helper, and I shall look down on mine enemies.”’ Having heard this, the black one straightway fled, shuddering at the words and dreading any longer even to come near the man. 7. This was Antony’s first struggle against the devil, or rather this victory was the Saviour’s work in Antony, ‘Who condemned sin in the flesh that the ordinance of the law might be fulfilled in us who walk not after the flesh but after the spirit.’ But neither did Antony, although the evil one had fallen, henceforth relax his care and despise him; nor did the enemy as though conquered cease to lay snares for him. For again he went round as a lion seeking some occasion against him. But Antony having learned from the Scriptures that the devices of the devil are many, zealously continued the discipline, reckoning that though the devil had not been able to deceive his heart by bodily pleasure, he would endeavour to ensnare him by other means. For the demon loves sin. Wherefore more and more he repressed the body and kept it in subjection, lest haply having conquered on one side, he should be dragged down on the other. He therefore planned to accustom himself to a severer mode of life. And many marvelled, but he himself used to bear the labour easily; for the eagerness of soul, through the length of time it had abode in him, had wrought a good habit in him, so that taking but little initiation from others he shewed great zeal in this matter. He kept vigil to such an extent that he often continued the whole night without sleep; and this not once but often, to the marvel of others. He ate once a day, after sunset, sometimes once in two days, and often even in four. His food was bread and salt, his drink, water only. Of flesh and wine it is superfluous even to speak, since no such thing was found with the other earnest men. A rush mat served him to sleep upon, but for the most part he lay upon the bare ground. 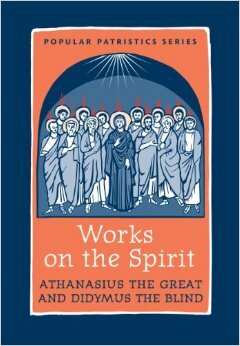 He would not anoint himself with oil, saying it behoved young men to be earnest in training and not to seek what would enervate the body; but they must accustom it to labour, mindful of the Apostle’s words, ‘when I am weak, then am I strong.’ ‘For,’ said he, ‘the fibre of the soul is then sound when the pleasures of the body are diminished.’ And he had come to this truly wonderful conclusion, ‘that progress in virtue, and retirement from the world for the sake of it, ought not to be measured by time, but by desire and fixity of purpose.’ He at least gave no thought to the past, but day by day, as if he were at the beginning of his discipline, applied greater pains for advancement, often repeating to himself the saying of Paul: ‘Forgetting the things which are behind and stretching forward to the things which are before.’ He was also mindful of the words spoken by the prophet Elias, ‘the Lord liveth before whose presence I stand to-day.’ For he observed that in saying ‘to-day’ the prophet did not compute the time that had gone by: but daily as though ever commencing he eagerly endeavoured to make himself fit to appear before God, being pure in heart and ever ready to submit to His counsel, and to Him alone. And he used to say to himself that from the life of the great Elias the hermit ought to see his own as in a mirror. 8. Thus tightening his hold upon himself, Antony departed to the tombs, which happened to be at a distance from the village; and having bid one of his acquaintances to bring him bread at intervals of many days, he entered one of the tombs, and the other having shut the door on him, he remained within alone. And when the enemy could not endure it, but was even fearful that in a short time Antony would fill the desert with the discipline, coming one night with a multitude of demons, he so cut him with stripes that he lay on the ground speechless from the excessive pain. For he affirmed that the torture had been so excessive that no blows inflicted by man could ever have caused him such torment. But by the Providence of God—for the Lord never overlooks them that hope in Him—the next day his acquaintance came bringing him the loaves. And having opened the door and seeing him lying on the ground as though dead, he lifted him up and carried him to the church in the village, and laid him upon the ground. And many of his kinsfolk and the villagers sat around Antony as round a corpse. But about midnight he came to himself and arose, and when he saw them all asleep and his comrade alone watching, he motioned with his head for him to approach, and asked him to carry him again to the tombs without waking anybody. 9. He was carried therefore by the man, and as he was wont, when the door was shut he was within alone. And he could not stand up on account of the blows, but he prayed as he lay. And after he had prayed, he said with a shout, Here am I, Antony; I flee not from your stripes, for even if you inflict more nothing shall separate me from the love of Christ. And then he sang, ‘though a camp be set against me, my heart shall not be afraid.’ These were the thoughts and words of this ascetic. But the enemy, who hates good, marvelling that after the blows he dared to return, called together his hounds and burst forth, ‘Ye see,’ said he, ‘that neither by the spirit of lust nor by blows did we stay the man, but that he braves us, let us attack him in another fashion.’ But changes of form for evil are easy for the devil, so in the night they made such a din that the whole of that place seemed to be shaken by an earthquake, and the demons as if breaking the four walls of the dwelling seemed to enter through them, coming in the likeness of beasts and creeping things. And the place was on a sudden filled with the forms of lions, bears, leopards, bulls, serpents, asps, scorpions, and wolves, and each of them was moving according to his nature. The lion was roaring, wishing to attack, the bull seeming to toss with its horns, the serpent writhing but unable to approach, and the wolf as it rushed on was restrained; altogether the noises of the apparitions, with their angry ragings, were dreadful. But Antony, stricken and goaded by them, felt bodily pains severer still. He lay watching, however, with unshaken soul, groaning from bodily anguish; but his mind was clear, and as in mockery he said, ‘If there had been any power in you, it would have sufficed had one of you come, but since the Lord hath made you weak, you attempt to terrify me by numbers: and a proof of your weakness is that you take the shapes of brute beasts.’ And again with boldness he said, ‘If you are able, and have received power against me, delay not to attack; but if you are unable, why trouble me in vain? For faith in our Lord is a seal and a wall of safety to us.’ So after many attempts they gnashed their teeth upon him, because they were mocking themselves rather than him. 10. Nor was the Lord then forgetful of Antony’s wrestling, but was at hand to help him. So looking up he saw the roof as it were opened, and a ray of light descending to him. The demons suddenly vanished, the pain of his body straightway ceased, and the building was again whole. But Antony feeling the help, and getting his breath again, and being freed from pain, besought the vision which had appeared to him, saying, ‘Where wert thou? Why didst thou not appear at the beginning to make my pains to cease?’ And a voice came to him, ‘Antony, I was here, but I waited to see thy fight; wherefore since thou hast endured, and hast not been worsted, I will ever be a succour to thee, and will make thy name known everywhere.’ Having heard this, Antony arose and prayed, and received such strength that he perceived that he had more power in his body than formerly. And he was then about thirty-five years old. 90. But when the brethren were urging him to abide with them and there to die, he suffered it not for many other reasons, as he showed by keeping silence, and especially for this:—The Egyptians are wont to honour with funeral rites, and to wrap in linen cloths at death the bodies of good men, and especially of the holy martyrs; and not to bury them underground, but to place them on couches, and to keep them in their houses, thinking in this to honour the departed. And Antony often urged the bishops to give commandment to the people on this matter. In like manner he taught the laity and reproved the women, saying, ‘that this thing was neither lawful nor holy at all. For the bodies of the patriarchs and prophets are until now preserved in tombs, and the very body of the Lord was laid in a tomb, and a stone was laid upon it, and hid it until He rose on the third day.’ And thus saying, he showed that he who did not bury the bodies of the dead after death transgressed the law, even though they were sacred. For what is greater or more sacred than the body of the Lord? Many therefore having heard, henceforth buried the dead underground, and gave thanks to the Lord that they had been taught rightly. 92. Having said this, when they had kissed him, he lifted up his feet, and as though he saw friends coming to him and was glad because of them—for as he lay his countenance appeared joyful—he died and was gathered to the fathers. And they afterward, according to his commandment, wrapped him up and buried him, hiding his body underground. And no one knows to this day where it was buried, save those two only. But each of those who received the sheepskin of the blessed Antony and the garment worn by him guards it as a precious treasure. For even to look on them is as it were to behold Antony; and he who is clothed in them seems with joy to bear his admonitions. 93. This is the end of Antony’s life in the body and the above was the beginning of the discipline. Even if this account is small compared with his merit, still from this reflect how great Antony, the man of God, was. Who from his youth to so great an age preserved a uniform zeal for the discipline, and neither through old age was subdued by the desire of costly food, nor through the infirmity of his body changed the fashion of his clothing, nor washed even his feet with water, and yet remained entirely free from harm. For his eyes were undimmed and quite sound and he saw clearly; of his teeth he had not lost one, but they had become worn to the gums through the great age of the old man. He remained strong both in hands and feet; and while all men were using various foods, and washings and divers garments, he appeared more cheerful and of greater strength. And the fact that his fame has been blazoned everywhere; that all regard him with wonder, and that those who have never seen him long for him, is clear proof of his virtue and God’s love of his soul. For not from writings, nor from worldly wisdom, nor through any art, was Antony renowned, but solely from his piety towards God. That this was the gift of God no one will deny. For from whence into Spain and into Gaul, how into Rome and Africa, was the man heard of who abode hidden in a mountain, unless it was God who maketh His own known everywhere, who also promised this to Antony at the beginning? For even if they work secretly, even if they wish to remain in obscurity, yet the Lord shows them as lamps to lighten all, that those who hear may thus know that the precepts of God are able to make men prosper and thus be zealous in the path of virtue. 94. Read these words, therefore, to the rest of the brethren that they may learn what the life of monks ought to be; and may believe that our Lord and Saviour Jesus Christ glorifies those who glorify Him: and leads those who serve Him unto the end, not only to the kingdom of heaven, but here also—even though they hide themselves and are desirous of withdrawing from the world—makes them illustrious and well known everywhere on account of their virtue and the help they render others. And if need be, read this among the heathen, that even in this way they may learn that our Lord Jesus Christ is not only God and the Son of God, but also that the Christians who truly serve Him and religiously believe on Him, prove, not only that the demons, whom the Greeks themselves think to be gods, are no gods, but also tread them under foot and put them to flight, as deceivers and corrupters of mankind, through Jesus Christ our Lord, to whom be glory for ever and ever. Amen. Mac Users please note that the site may not work with Safari versions lower than version 4. (It has been tested with version 4.0.3.) It will work with Firefox, which can be downloaded from here.